Not only will natural cleaners make your life better, they will virtually eliminate that bad smell in the house and they’re surprisingly inexpensive to create with simple ingredients that you probably already have in your home. If you’re wanting to pitch those toxic, commercial household cleaners and switch to natural, homemade cleaner, these simple recipes will have you cleaning green in no time. Not only will natural cleaners make your life better, they will virtually eliminate that bad smell in the house and they’re surprisingly inexpensive to create. Try using this homemade all-purpose cleaner on counter tops and surfaces to disinfect and freshen your home. This recipe includes vinegar, which removes stains and odors, and anti-microbial essential oils to keep your home germ free. Take the top off of an empty spray bottle, place a small funnel into the opening and pour in 1/2 cup of white vinegar. Add 2 tablespoons of baking soda, and wait for the foaming to subside. Add in 10 drops each of tea tree and eucalyptus essential oil. Fill the rest of the bottle with water. Screw the spray top onto the bottle, and shake well before use. Industrial soft scrub cleaners can contain strong chemical ingredients, but you can get your tub and shower just as clean with homemade cleaner. This simple soft scrub recipe will clean a bathroom faster and better, and uses a mixture of baking soda and vinegar, which will dissolve hard mineral deposits and easily cut through soap scum. Take the cap off of an empty dish soap bottle. Make sure that you wash out the empty dish soap bottle well before using it to make soft scrub cleaner. Place a small funnel into the opening of the bottle, and pour 1 and 1/2 cups of baking soda, 1/2 cup of liquid castile soap, 2 tablespoons of white vinegar and 2 tablespoons of water into the bottle. Wait for the foaming to subside. Screw the cap onto the bottle, and shake it vigorously for around 2 minutes. To use, squeeze the simple soft scrub cleaner onto the surface, and scrub using a wet washcloth or cleaning brush. Many commercial toilet bowl cleaners use chlorine bleach, but not this natural toilet bowl cleaner. Instead, castile soap and baking soda get the job done. Plus, you won’t have to worry about accidentally exposing your pets or children to toxic toilet water. Take the top off of a large squirt bottle, which you can find at most home improvement stores. Place a funnel into the opening of the bottle, and pour in 1/3 cup of liquid castile soap, 2cups of water and 2 tablespoons of baking soda. Wait for the foaming to subside. Add in 5 drops each of lemon, eucalyptus and lavender essential oils, which both freshen and disinfect. Screw the cap into the squirt bottle, shake well and squirt into the toilet bowl. Allow the homemade cleaner to sit for a few minutes, then use a toilet brush to scrub the bowl clean. Forget using chemical cleaners to wash windows. They’ll look clean as a whistle with this all-natural homemade window cleaner, which uses vinegar and cornstarch to buff those fingerprints away. Take the top off of an empty spray bottle, place a small funnel into the opening and pour in 1/2 cup of white vinegar, 1 tablespoon of cornstarch and 2 cups of water. Add in 5 drops each of lemon and grapefruit essential oils. Screw the spray top back onto the bottle, and shake well before use. From flu outbreaks to deadly bacterial infections, health scares seem to dominate the news these days. In response, you may go searching for products that claim to eradicate bacteria, viruses and other germs. However, not all of these disinfectants are effective against every type of bacteria or bug. And although we may think these products are keeping you healthy, the truth is that some of them may actually be harmful to both your health and the environment. To help you choose the right disinfectant for each situation, we’ve provided some of the pros and cons of a variety of germ-busting agents. Bleach is a relatively inexpensive and highly effective disinfectant. It not only cleans up dirt and mold, but also kills some of the most dangerous bacteria, including staphylococcus, streptococcus, E. coli and salmonella – as well as viruses like the flu and the common cold. However, bleach is also one of the most harmful disinfectants to human health and has been linked to respiratory problems and birth defects. Bleach may also be hazardous to wildlife and the environment. There are greener alternatives in disinfecting wipes and cleaning sprays, however, these eco-friendly choices may not be as effective in killing bacteria and viruses. Also note that both bleach and greener bleach alternatives are intended to disinfect surfaces in the home and are should not be used on the skin. Store shelves are filled with products that boast antimicrobial properties. There is a common misconception that antibacterial soap, in particular, is effective in eradicating all germs. Although antibacterial soap may kill some bacteria, it is no more effective in doing so than regular soap, and does nothing to fight viruses like colds or the flu. In fact, many health experts advise against using antibacterial products, as most contain a potentially harmful ingredient called triclosan, which some researchers say is an endocrine disruptor. Moreover, overuse of these products has led to antibiotic resistance and the rise of so-called superbugs. Although it may be a more eco-friendly cleaning solution than chemical-based products, ammonia is not registered as a disinfectant by the Environmental Protection Agency (EPA). Although ammonia might kill salmonella and E. coli, it is not an effective defense against dangerous staphylococcus bacteria. Claims that hand sanitizers kill 99.9 percent of germs have recently been addressed by the Food and Drug Administration (FDA). The agency advises consumers to wash their hands often, especially before handling food, and cautions against buying over-the-counter hand sanitizers that claim to prevent infection from MRSA, salmonella, E. coli, the flu, or other bacteria and viruses, as the claims aren’t supported by the FDA. The Centers for Disease Control and Prevention (CDC) also warns that these products are largely ineffective against the norovirus. Some hand sanitizers may also contain triclosan. 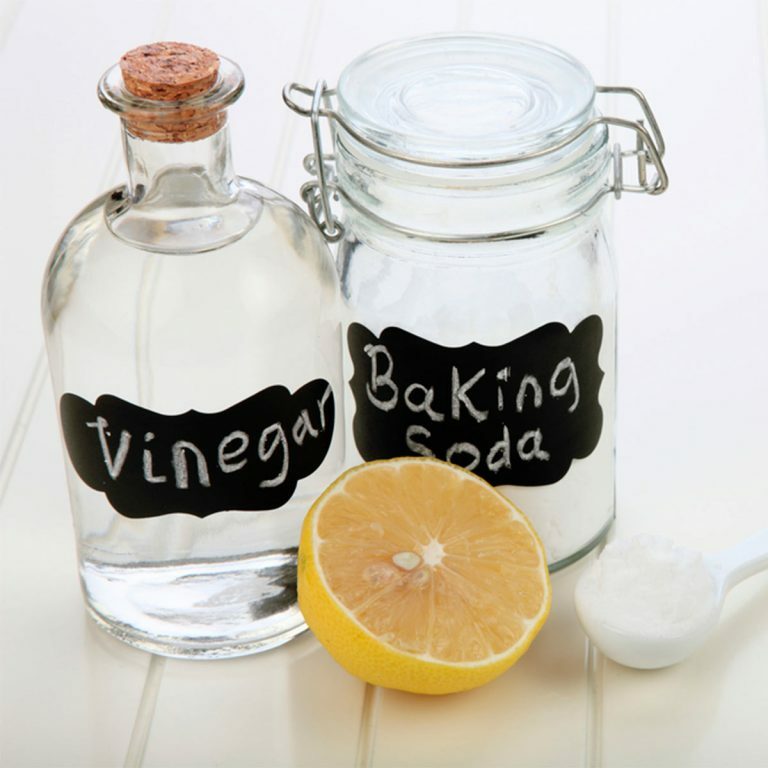 Vinegar can be used as a safer bleach alternative for some applications, like cleaning. It is also biodegradable. However, vinegar is not a registered disinfectant and does not kill dangerous bacteria like staphylococcus. Hydrogen peroxide has antimicrobial ingredients and can be an effective household cleaner. It is also highly biodegradable. However, concentrated hydrogen peroxide is extremely dangerous and should only be used as a disinfectant at concentrations lower than 3 percent. Although baking soda is often used a household cleaner, it is ineffective against most bacteria, including salmonella, E. coli. and staphylococcus. If you suspect there has been a contamination of any of these bacteria, ditch the baking soda in favor of a product registered as a disinfectant by the EPA. Tea tree oil is a natural, biodegradable antiseptic that can be useful for treating minor cuts and wounds. However, it may not be strong enough to kill viruses and more powerful bacteria. Just about the only cleaner I use is one made from Dawn dishwashing liquid and vinegar. I use it for almost everything. Sometimes I rinse with a vinegar soaked rag if I don’t want soapy residue, like on counter tops….but for sinks, tub, and toilet it works great! Wonderful Deb. Speaking of Dawn….I use it in a spray bottle with water to kill unwanted aphids and beetles in my garden on my roses! I make a lot of my one household cleaners. I rarely, if ever, buy them from mainstream outlets as they tend to be so full of harmful and outright toxic additives. Love this, want to share with my readers tooo! We rounded up 25 creative ways to use vinegar here: http://www.bit.ly/away_vinegar. Would love any additions you have! Wow! Love your recipes. And I have most of the ingredients to throw them together! Exactly Robin, and you know they aren’t harmful chemicals. Awesome! Thank you for the great info Shruthi! !